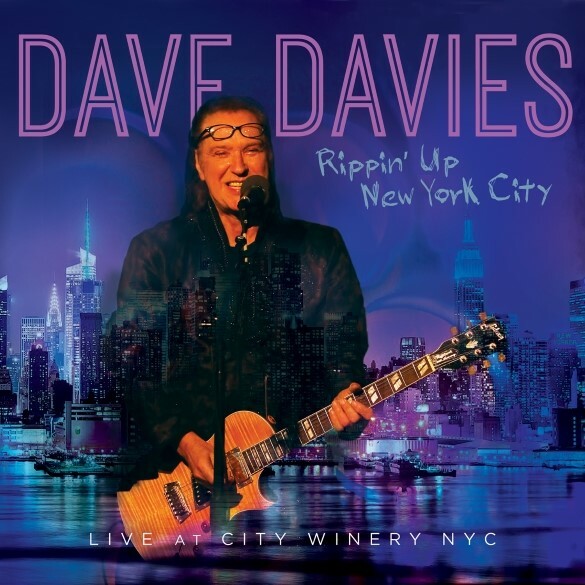 NYC – Much to the excitement of music fans worldwide, Kinks legend Dave Davies will be releasing a new live album titled “Rippin Up New York City: Live at the City Winery” on September 4, 2015 on Red River which is distributed by Sony/RED. The recordings were culled from two exciting live performances by Dave and his band in NYC in November 2014. Oct 2nd, 2015 – The Court of Honor Stage, The Big E, West Springfield, MA. 3pm and 8pm shows. Free with fair admission. Oct 3rd, 2015 – The Court of Honor Stage, The Big E, West Springfield, MA 3pm and 8pm shows. Free with fair admission. Oct 4th, 2015 – The Court of Honor Stage, The Big E, West Springfield, MA. 3pm show only. Free with fair admission. Oct 20th, 2015 – The Howard Theatre, Washington D.C.